Millennial marketing is one of the most discussed topics among marketers. 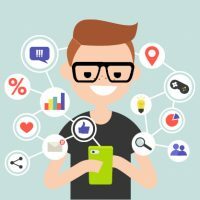 The question is asked over and over again today: “What is important when marketing to millennials? Millennials are often seen as an inscrutable generation. They tend to be more tech-savvy than baby boomers and generation X, and often eschew information sources earlier generations rely on. So, what are some of the most important things to consider when marketing to millennials? To learn more, download our free eBook.